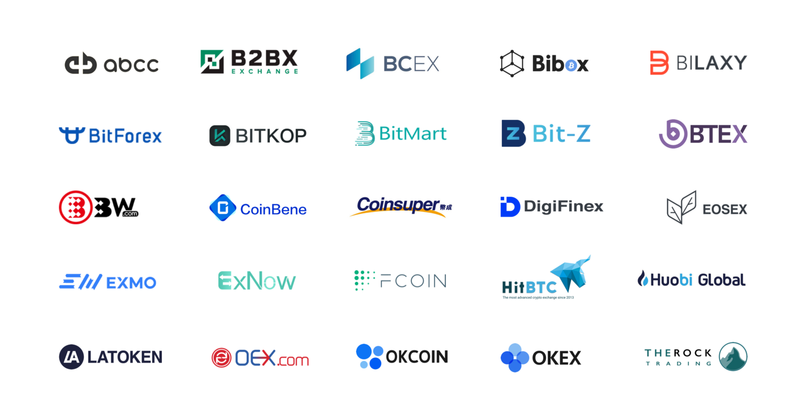 abcc, B2BX, BCEX, Bibox, BILAXY, BitForex, BITKOP, BitMart, Bit-Z, BTEX, BW.com, CoinBene, Coinsuper, DigiFinex, EOSEX, EXMO, ExNow, FCOIN, HitBTC, Huobi Global, LATOKEN, OEX.com, OKCOIN, OKEX, and TheRockTrading. Bitpay, BlockFi, Coinomi, and CoinsBank. To learn more, check out our website, blog post, white paper, and code repository. 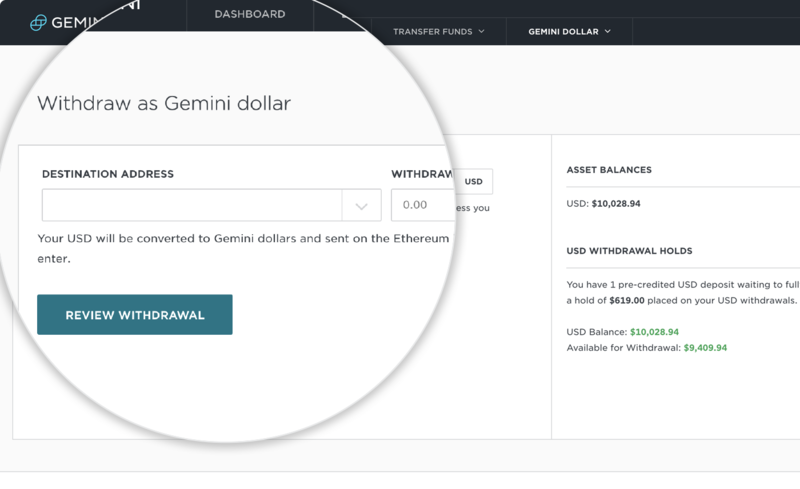 You can send Gemini dollars to these exchanges or any wallet that supports ERC20 tokens by simply selecting the ‘Withdraw as Gemini dollar’ option in the navigation menu of your Gemini account, entering a destination address, and then choosing an amount of U.S. dollars you want to send. As an ERC20 token, the Gemini dollar can easily be added to any exchange, wallet, or decentralized application (dApp). Feel free to contact us at dollar@gemini.com with additional questions on how your product or service can incorporate the Gemini dollar.